This product is truly the balance between protein and moisture. The description states that “this powerful five-minute treatment is ideal for stressed, damaged and chemically treated hair and works effectively to replenish lost or depleted Amino Acids. A high concentration of Joico’s Quadramine® Complex delivers maximum reconstruction and protection from the hair cuticle to the cortex.” Very true! 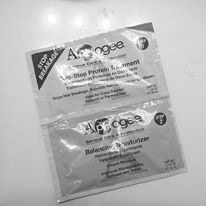 Unlike the Aphoghee 2 step treatment, it’s a way to do a protein treatment on hair that is less intensive yet provides just the right balance of protein and moisture to hair. Thus, it can be used either weekly or biweekly on wash day. When I used this reconstructor this weekend, my hair was in DIRE need of some reconstructing. The heat and humidity have dried out my hair and as a result, I felt like breakage was impending. After using this conditioner, and a deep conditioner under a bonnet dryer, my hair is back hydrated and strong! 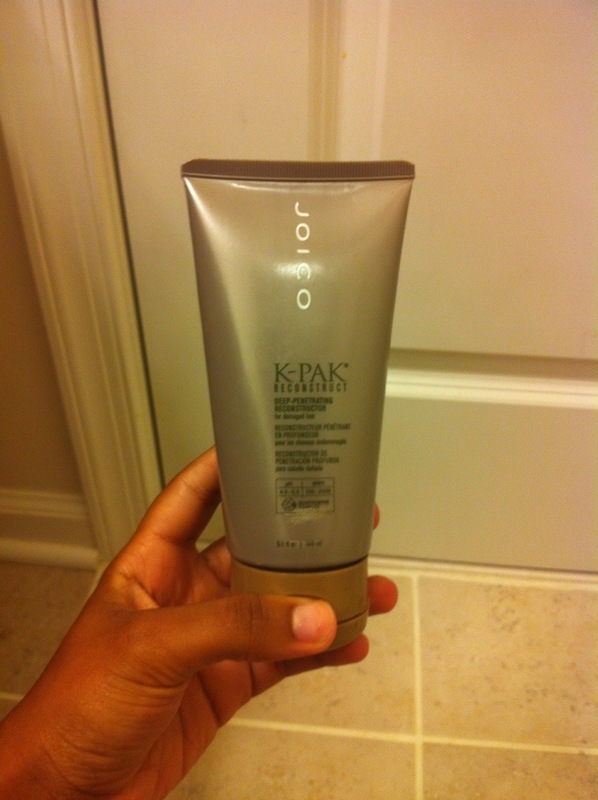 I got this product from a product swap but it can be purchased from the Joico website for $20 for 5.1 fl oz. After a clarifying shampoo (it was time lol) I applied this conditioner to my hair in sections, detangling with a wide tooth comb to ensure equal distribution. Afterwards, I rinsed out and proceeded to apply a deep conditioner. This step is vital when doing any sort of protein treatment to restore hair to it’s maximum hydration. Overall, I like this product as an in-between Aphoghee 2 step applications lighter protein treatment lol what a mouthful but you get me! However, due to the steep price point, I will still be on the hunt for another go to light protein treatment. 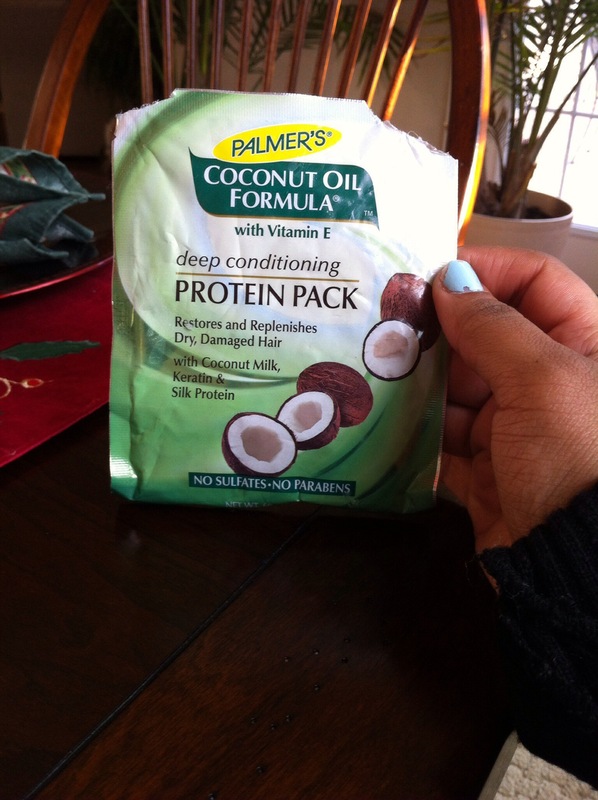 This product doubles as a deep conditioner and a light protein treatment. Light protein treatments, unlike heavy protein treatments such as Aphoghee 2 Step Protein Treatment, restore and replenish lost protein within the hair’s cuticle better than a regular deep conditioner but not as intensive as a heavy protein treatment. These light protein treatments can be used biweekly and provide your hair with the perfect “pick me up” when hair is dry and damaged. I really love this deep conditioner because it has ALOT of slip, smells amazing, has a great price point, makes my hair super soft and contains NO sulfates OR parabens! I purchased this product from CVS for under $2 for 2.1 oz. Water (Aqua), Stearyl Alcohol, Stearalkonium Chloride, Cyclopentasiloxane, Cyclohexasiloxane, Stearamidopropyl Dimethylamine, Peg-4- Stearate, Cetyl Alcohol, Butylene Glycol, Cocos Nucifera (Coconut) Milk, Cocos Nucifera (Coconut) Oil, Dimethicone, Glycerin, Behenyl Alcohol, Cetearyl Alcohol, Hydroxytheyl, Cetearamidopropylodimonium Chloride, Propylene Glycol, Quwaternium-26 Gragrance (Parfum), Tocopheryl Acetate, Keratin Amino Acidds, Hydrolyzed Silk Prnotien, Disodium Edta, Hydroxyethylcellulose, Diazolidinyl Urea, Idoprophynyl Butylcarbamate, Critric Acid. The packaging of this product states that it contains coconut milk, keratin, silk protein, AND vitamin E. One look at the ingredients and it’s clear that this is all true. A great plus about this product is that it contains hydrolyzed silk and hydrolyzed keratin. Both of these ingredients are great in strengthening the hair while providing shine! Instead of dividing my hair into four sections, per usual, I tend to use this product AFTER I’ve applied a DIY deep conditioning treatment to my hair. Because this product contains a lot of slip, it’s great to use for detangling after I’ve applied my DIY and right before I begin a steam treatment with my hair steamer. When using this product, I like to apply generously, really focusing on the roots of my hair as well as the ends, using a wide tooth comb to ensure equal distribution. Afterwards, I steam treat my hair for 30 minutes before rinsing. Each time I use this product my hair feels super soft and has a great healthy shine! I recommend this product whenever you feel and see your ends start to become a little too dry. Trust me, you won’t regret it! Similar to the Aphogee 2 Minute Keratin Treatment, this Aphogee product does wonders for restoring and repairing damaged hair. Before trying this product I have never actually done a hard protein treatment on my hair, which is pretty bad because I have chemically treated hair (relaxed and colored). Protein treatments need to be done on your hair every six weeks if you regularly use heat, color or relaxers in your hair regimen. When any of these are applied to your hair, your hair loses protein which can lead to breakage and shedding. This inevitably leads to hair loss and affects length retention. Are you starting to understand why your hair won’t grow past a certain length now? Great! 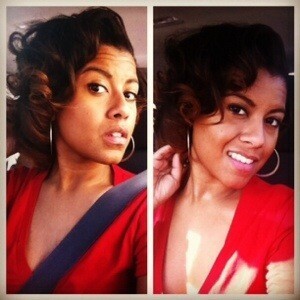 Here is an article that explains the importance of protein treatments on hair. I picked this product up from Sally’s for about $4. I didn’t get the accompanying shampoo nor did I get the full size bottles of Step 1 or Step 2, instead I picked up the sample pack (pictured below). I feel like this is a cheaper and more effective option because a hard protein treatment such as this one should only be used ONCE every SIX weeks. So, why pay more for full size bottles ($9 for 4 oz bottle of Step 1) when I’m only going to use this treatment once every six weeks. As my hair grows, however, I will need to get the bottles because this sample pack was JUST enough to cover all of my hair. I tried my best to find a YouTube video that shows how to apply this treatment, and this one is pretty accurate. She doesn’t go into enough detail, in my opinion, on how to wash out the hair or how to apply Step 2 so I’ll make sure to cover that thoroughly. When applying this protein treatment, I start on freshly washed hair. The instructions say to use Aphogee shampoo but I like to stick to my SheaMoisture Yucca & Baobab shampoo. After this is done, without applying conditioner, I begin to dry my hair with either a soft towel or an old t-shirt. I like to start by pouring Step 1 into a bowl and mixing it with an applicator brush. In the YouTube video, she uses her hands to apply the mixture instead of an applicator brush but as this mixture dries extremely fast and gets super sticky, I believe an applicator brush is more effective. After Step 1 is in the bowl, I quickly section my hair into 4 sections with butterfly clips. I start on the first section by applying the mixture, with the applicator brush, to all of my hair within each section. Quickly using a wide tooth comb to detangle and distribute the protein treatment throughout each section. This step will need to be done quickly because after the protein treatment dries you will not be able to move your hair. It will become very dry and should not be manipulated as hair is susceptible to breakage at this point. After all the protein treatment has been applied to your hair, you will need to wait for your hair to dry before rinsing out this treatment. You can air dry your hair but depending on the thickness of your hair, this can take a long time. I suggest the use of a bonnet dryer instead. When using a bonnet dryer, make sure not to manipulate your hair HOWEVER if hair is not drying at the ends of your hair you can carefully clip up your hair with duckbill clips to make the process go a bit faster. After all your hair is dry, you are ready to rinse! You’ll realize that your hair is super hard to the touch, like a helmet even. It’s important to rinse IN the shower because you’ll need water to run over your hair for about 2 minutes before you can begin to manipulate your hair. Once two minutes have passed, you can begin to rinse the treatment out of your hair. You’ll quickly realize that your hair feels like straw and is super dry to the touch. This is normal and not a cause for concern! At this point, I like to step out of the shower and apply Step 2. Step 2 is the balancing moisturizer. This step smells SO GOOD, unlike Step 1, and immediately restores your hair’s moisture. This step has SO MUCH SLIP and you can mix your favorite deep conditioner in to ensure even more moisture. I like to steam my hair for about 30 minutes at this point, with no plastic cap, but you can also sit under your bonnet dryer for 30 minutes WITH a plastic cap. This extra step ensures maximum penetration! After 30 minutes is up, you are ready for your final rinse! When your hair is fully rinsed, you will immediately see and fell the difference! 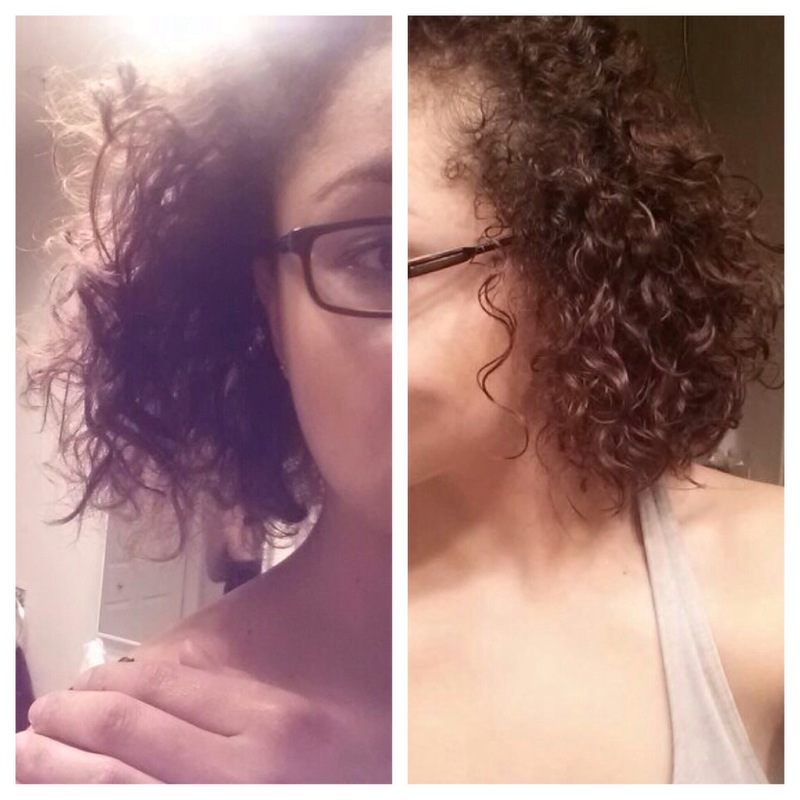 Especially naturalistas and curly heads, your curls and coils will be tighter and shinier than ever! Here is a picture of the sample pack. Below that is a picture of my sister’s hair before (left) using the treatment and after (right) completing step 1 and 2. Amazing results!